Arab opposition to an Israeli state began after the Balfour Declaration 1917, which supported the idea of a Jewish national homeland. In the 1920s there were anti-Zionist riots in Palestine, after the British mandate government allowed thousands of Jews to immigrate to Palestine from all over the world. In 1936 an Arab revolt led to a British royal commission that recommended partition (approved by United Nations 1947), but rejected by the Arabs. On May 15 the armies of Egypt, Transjordan (now Jordan), Syria, Lebanon, and Iraq joined Palestinian and other Arab guerrillas who had been fighting Jewish forces since November 1947. The war now became an international conflict, the first Arab-Israeli War. The Arabs failed to prevent establishment of a Jewish state, and the war ended with four UN-arranged armistice agreements between Israel and Egypt, Lebanon, Jordan, and Syria. The frontiers defined in the armistice agreements remained until they were altered by Israel’s conquests during the Six-Day War in 1967. “Battle of the Roads“. The Arab League sponsored Arab Liberation Army, composed of Palestinian Arabs and Arabs from other Middle Eastern countries, attacked Jewish communities in Palestine, and Jewish traffic on major roads. The Arab forces mainly concentrated on major roadways in an attempt to cut off Jewish communities from each other. Arab forces at that time had engaged in sporadic and unorganized ambushes since the riots of December 1947, and began to make organized attempts to cut off the highway linking Tel Aviv with Jerusalem, the city’s only supply route. The Arab Army cut off supplies and controlled several strategic vantage points overlooking the sole highway linking Tel Aviv to Jerusalem, enabling them to fire at convoys going to the city. By late March 1948, the vital road that connected Tel Aviv to western Jerusalem, where about 16% of all Jews in the Palestinian region lived, was cut off and under siege. April 6-12, 1948 : Operation Nachshon. The Haganah decided to launch a major military counteroffensive to break the siege of Jerusalem. On 6 April the Haganah and its strike force, the Palmach, in an offensive to secure strategic points, took al-Qastal, an important roadside town 2 kilometers west of Deir Yassin. But intense fighting lasted for days more as control of that key village remained contested. April 9, 1948 : Throughout the siege on Jerusalem, Jewish convoys tried to reach the city to alleviate the food shortage, which, by April, had become critical. On 9 April 1948, IZL-Lehi forces attacked Deir Yassin, as part of Operation Nachshon to break the siege of western Jerusalem. On Deir Yassin massacre, Irgun and Lehi members attack the Arab village of Deir Yassin, killing between 100 and 120 Arabs civilians. May 15, 1948 : Lebanon, Syria, Iraq, Egypt, Transjordan, Holy War Army, Arab Liberation Army, and local Arabs attack the new Jewish state with the intent of destroying it. The resulting 1948 Arab-Israeli War lasts for 13 months. By the end of the war, about 700,000 Palestinian Arabs leave as refugees for a variety of reasons among them, including: avoidance of crossfire, anticipation of war, expulsion, and the Jews massacre against number of Arab villages. June 1948 : Violent confrontation between the Israel Defense Forces under the command of David Ben-Gurion, and the paramilitary Jewish group Irgun known as The Altalena Affair results in the dismantlement of the Irgun, Lehi, and all Israeli paramilitary organizations operating outside the IDF. April 1949 : Israel concludes Armistice Agreements with neighboring countries. The territory of the British Mandate of Palestine is divided between the State of Israel, the Kingdom of the Jordan (changed from Transjordan) and Egypt. Ben Gurion orders 1,500 combat soldiers to liberate the road to a besieged Jerusalem. In early 1948, David Ben Gurion commands a concentrated force of 1,500 soldiers to puncture the road leading to a besieged Jerusalem. The operation, called “Nachshon Operation”, was a turning point in the Independence War: This was the first time that the defense forces were commanded to conquer an area that was defined as Arab territory. During the 1950s there was considerable tension between Israel and Egypt, which, under President Nasser, had become a leader in the Arab world. His nationalization of the Suez Canal 1956 provided an opportunity for Israel with Britain and France, to attack Egypt and occupy a part of Palestine that Egypt had controlled since 1949, the Gaza Strip , from which Israel was forced by UN and US pressure to withdraw 1957 . In 1973 Egypt joined Syria in a war on Israel to regain the territories lost in 1967. The two Arab states struck unexpectedly on October 6, which fell on Yom Kippur , Israel’s holiest fast day . After crossing the Suez Canal the Arab forces gain a lot of advanced positions in Sinai Peninsula and Golan Heights and manage to defeat the Israeli forces for more then three weeks. Israeli forces with a massive U.S. economic and military assistance managed to stop the Arab forces after a three-week struggle and defeat with the cost of many casualties,and the Arabs strong showing won them support from the Union of Soviet Socialist Republics (USSR) and most of the world’s developing countries. Israel, forced to compete with the nearly unlimited Arab resources, was faced with a serious financial setback. Only massive U.S. economic and military assistance enabled it to redress the balance, but even American aid was unable to prevent a downward spiral of the economy. In an effort to encourage a peace settlement, U.S. President Richard M. Nixon charged his secretary of state, Henry Kissinger, with the task of negotiating agreements between Israel and Egypt and Syria. Kissinger managed to work out military disengagements between Israel and Egypt in the Sinai and between Israel and Syria in the Golan Heights during 1974. After crossing the Suez channel the Arab forces gain a lot of advanced positions in Sinai Peninsula and Golan Heights and manage to defeat the Israeli forces for more then three weeks. Israeli forces with a massive U.S. economic logistic and military assistance managed to stop the Arab forces after a three-week struggle and defeat with the cost of many casualties,and the Arabs strong showing won them support from the Union of Soviet Socialist Republics (USSR) and most of the world’s developing countries. From 1978 the presence of Palestinian guerrillas in Lebanon led to Arab raids on Israel and Israeli retaliatory incursions. On 6 June 1982 Israel launched a full-scale invasion. By 14 June Beirut was encircled, Palestine Liberation Organization (PLO) and Syrian forces were evacuated mainly to Syria 21-31 Aug. In Feb 1985 there was a unilateral Israeli withdrawal from the country without any gain or losses incurred. Israel maintains an occupied area called as a ‘security zone’ in South Lebanon and supports the South Lebanese Army Militia of Lahad, both were occupying the south of Lebanon to defend Israelis from Palestinian attacks, and both carried out number of massacres against Lebanese and Palestinian people. Israel’s complicity in massacres in two Palestinian refugee camps increased Arab hostility and many other massacres like Beirut, Nabattiyeh, Abbasiyeh, Qana with hundreds of Lebanese civilians killed by Israelis. Talks between Israel and Lebanon , between Dec 1982 and May 1983, resulted in an agreement, drawn up by US secretary of state George Shultz, calling for the withdrawal of all foreign forces from Lebanon within three months. Syria refused to acknowledge the agreement, and left some 30,000 troops, with about 7,000 PLO members, in northeast, Israel retaliated by refusing to withdraw its forces from the south. Meanwhile the problems in Lebanon continued. In 1984, under pressure from Syria, President Gemayel of Lebanon abrogated the 1983 treaty with Israel , but the government of national unity in Tel Aviv continued to plan the withdrawal of its forces. Guerrilla groups of the Lebanese resistant on south of Lebanon started their resistant against the Israeli occupation since 1985 when the main important resistant group in Lebanon which is Hezbollah was founded. Most of the withdrawal was complete by June 1985 except the south of Lebanon of what so called the ‘security zone’. 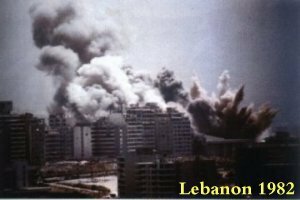 The south of Lebanon was liberated by resistant operations when Israel withdraw in 25/5/2000. Israel still occupying Shebaa farms and other small areas until today. 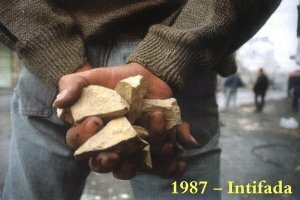 In 1988, the Palestinians initiated a nonviolent movement to withhold taxes collected and used by Israel to pay for the occupation of territories. When time in prison didn’t stop the activists, Israel crushed the boycott by imposing heavy fines while seizing and disposing of the equipment, furnishings, and goods from local stores, factories, and even homes. On April 19, 1988, a leader of the PLO, Abu Jihad, was assassinated in Tunis. During the resurgence of rioting that followed, about 16 Palestinians were killed. 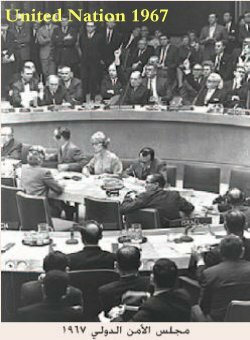 In November of the same year and October of the next, the United Nations General Assembly passed resolutions condemning Israel. As the Intifada progressed, Israel introduced various riot control methods that had the effect of reducing the number of Palestinian fatalities. Another contributor to the high initial casualties was Yitzhak Rabin’s aggressive stance towards the Palestinians (notably including an exhortation to the IDF to “break the bones” of the demonstrators). His successor Moshe Arens subsequently proved to have a better understanding of pacification, which perhaps reflects in the lower casualty rates for the following years. On September 28, 2000 the Israeli opposition leader Ariel Sharon, with a Likud party delegation, and surrounded by hundreds of Israeli riot police, visited the mosque compound of the Al-Haram Al-Sharif (Temple Mount) in the Old City of Jerusalem. The mosque compound is the first Qibla of Muslims and the third holiest site in Islam. It also contains the area for the most holy site in Judaism. The pretext for Sharon’s visit of the mosque compound was to check complaints by Israeli archeologists that Muslim religious authorities had vandalized archeological remains beneath the surface of the mount during the conversion of the presumed Solomon’s Stables area into a mosque. A group of Palestinian dignitaries came to protest the visit, as did three Arab Knesset Members. With the dignitaries watching from a safe distance.Palestinians saw Sharon’s visit as an assault on the Al-Aqsa Mosque. For this reason, the whole conflict is known as the Al-Aqsa Intifada. On September 29, 2000, the day after Sharon’s visit, following Friday prayers, large uprising broke out around Old Jerusalem during which several Palestinian demonstrators were shot dead. Already in the same day, the September 29, 2000, demonstrations broke out in the West Bank. In the days that followed, demonstrations erupted all over the West Bank and Gaza. Israel maintains that it mobilized thousands of troops in order to suppress Qassam rocket fire against its civilian population and to secure the release of Corporal Gilad Shalit. It is estimated that between 7,000 and 9,000 heavy Israeli artillery shells have been fired into Gaza since September 2005, killing 80 Palestinians in 6 months. On the Palestinian side, approximately 1,000 Qassam missiles are believed to have been fired into Israel. Israel has stated that it will withdraw from Gaza and end the operation as soon as Shalit is released. The Palestinians say the assault is aimed at toppling the democratically elected Hamas-led government and at destabilizing the Palestinian National Authority, citing the targeting of civilian infrastructure such as a power station and the captures of government and parliament members. After Israel’s unilateral disengagement plan, pulling 9 thousand settlers from Gush Katif in the Gaza Strip in the summer of 2005, tensions had remained high in Gaza due to the continued shelling of areas in Israel with Qassam rocket attacks launched by Palestinians from Gaza into areas such as the Israeli city of Sderot, reported to have exceeded 800 rockets in the past seven months. Between the end of March and the end of May 2006, Israel fired at least 5,100 artillery shells into the Gaza Strip Qassam launching areas in an attempt to stop them from firing. On June 9, during or shortly after an Israeli operation, an explosion occurred on a busy Gaza beach, killing eight Palestinian civilians.Other Israeli missile attacks included one on the Gaza highway on June 13 that killed 11 Palestinians and injured 30, and on June 20 that killed 3 Palestinians and wounded 15. Hamas formally withdrew from its 16-month ceasefire on June 10, and began openly taking responsibility for the ongoing Qassam rocket attacks. On June 24, 2006, Israeli commandos entered the Gaza Strip in the first capture raid into the Strip since Israel pulled out of Gaza in September 2005. In the raid they captured two Palestinians, identified by neighbors as brothers Osama Muamar, 31, and Mustafa, 20, who Israel claims are Hamas militants. Noam Chomsky has claimed in a recent interview that these two Palestinians were civilians, a doctor and his brother. Chomsky claims not to know the fate the kidnapped men. On June 25, 2006, armed Palestinians crossed the border from the Gaza Strip into Israel via a makeshift tunnel and attacked an Israel Defense Forces post. During the morning attack, two Palestinian militants and two Israel Defense Force soldiers were killed and four others wounded, in addition to Corporal Gilad Shalit, who suffered a broken left hand and a light shoulder wound. Hamas claimed that the attack was carried out in response to the death of the Ralia family on north Gaza beach a few weeks before. Shalit’s captors issued a series of statements demanding the release of all female Palestinian prisoners and all Palestinian prisoners under the age of 18. The statements came from Ezz ad-Din al-Qassam Brigades (the military wing Hamas), the Popular Resistance Committees (which includes members of Fatah, Islamic Jihad and Hamas), and the Army of Islam. More than 8,000 Palestinians are held as prisoners by the Israel Defense Forces and Israel Prisons Service. Approximately two thirds of these prisoners were convicted in court, while around ten percent are held without charge.